Today, on World Oceans Day, the Ocean & Climate Platform is launching an international petition inviting people all over the world to protect the Ocean, the blue lung of our planet. 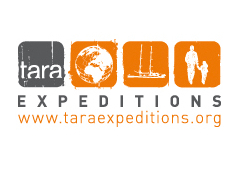 Co-founded by Tara Expeditions, the Ocean and Climate Platform was born from an alliance of non-governmental organizations and research institutes, with the support of the UNESCO Intergovernmental Oceanographic Commission, on the occasion of the World Oceans Day in June 2014. Now, one year later, all organizations involved in this platform have joined forces to promote the Ocean’s call for Climate. We are demanding that the Ocean be seriously taken into account during climate negotiations. Until now, the Ocean has been absent from all discussions. Just 6 months until the opening of of the UN Convention on Climate Change (COP21) in Paris. World Ocean Day 2015 was the kickoff for a wide international mobilization led by the “Ocean” community. 60 activists – scientists, members of associations and representatives of the business world joined forces as the Ocean and Climate Platform, hosted by the UNESCO International Oceanographic Commission (IOC), one of the Platform members. Our goal was to launch the Ocean’s Call for the Climate, a petition to convince the participants of the Climate Convention (COP21) to put the Ocean at the heart of climate negotiations. Scientific workshops, roundtables, exhibits, and an “Open Campus” about the Ocean’s role in the climate system rhythmed this special day. The petition stresses the importance of the Ocean in developing solutions to climate change. The starting point is the preservation of our planet’s “blue lung” – this vital ecosystem that produces 50% of our oxygen, serves as the thermostat of our climate system, and absorbs 25% of our CO2 emissions. The Ocean’s Call was presented Monday, June 8 at 5:45pm at the UNESCO headquarters in Paris. – Romain TROUBLÉ, Ambassador of the Ocean and Climate Platform, Secretary General of Tara Expeditions.